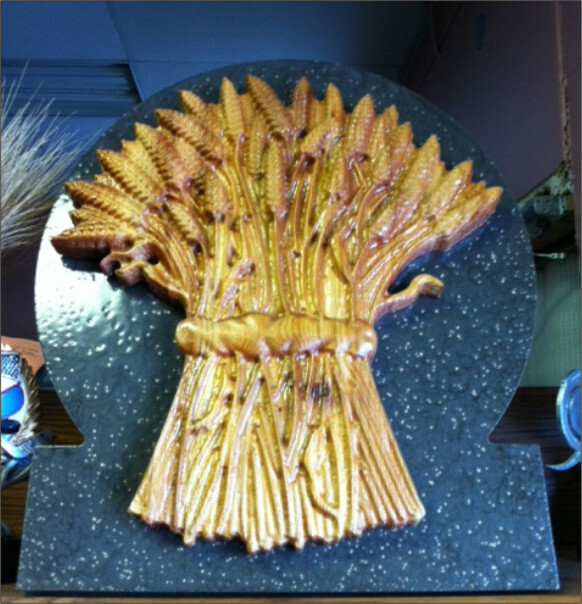 Last Supper 3D carved into Black Gibraltar countersunk into a cedar frame. 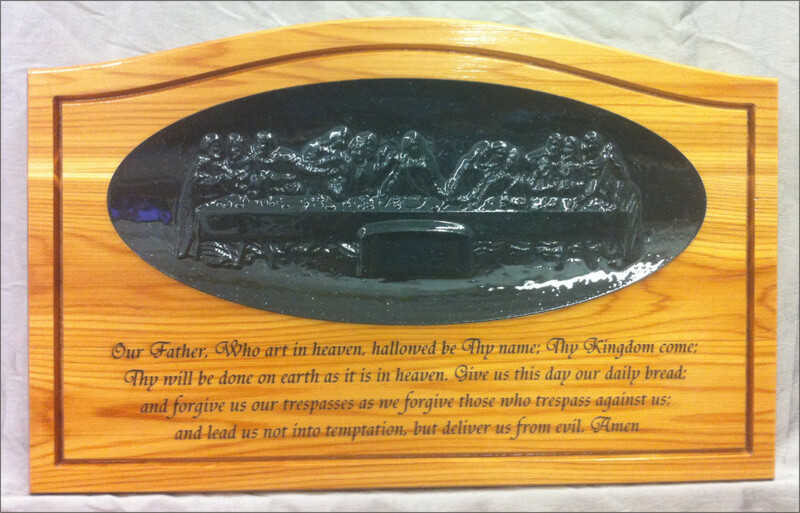 Shown with "The Lords Prayer" lasered into the cedar. Size shown is 24"x14.5" Custom sizes available. Last Supper 3D carved into Gibraltar. Shown with "The Lords Prayer" lasered in. Size shown is 8"x6.5". 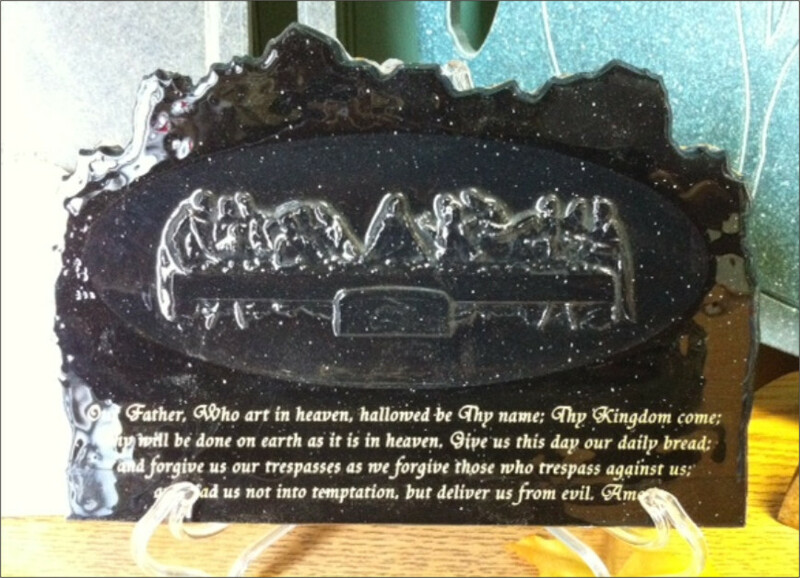 You can have this item with a photo mounted in the back and a message lasered in. Custom sizes available. 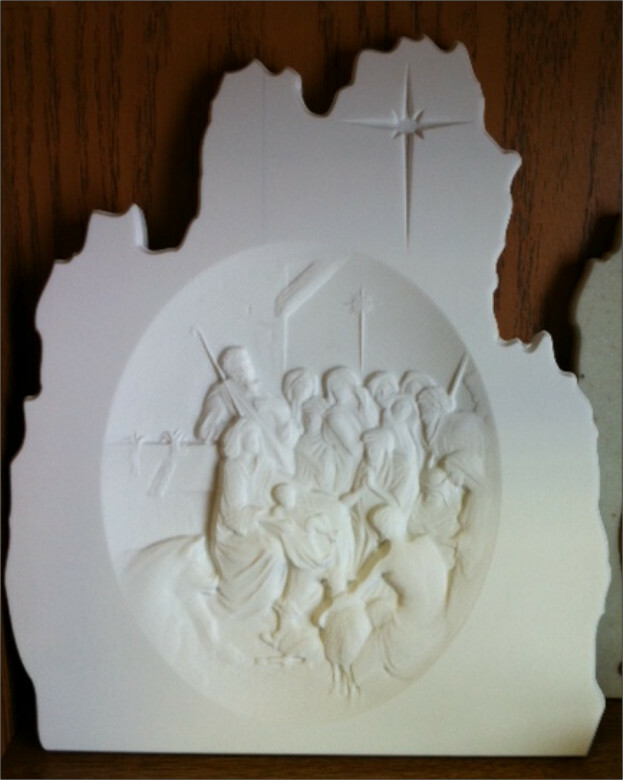 Nativity Scene 3D carved in white Gibraltar. Size shown is 12" x9.5". Can be laser engraved and have a photo mounted on the back. Makes a cherished memorial to a loved one. 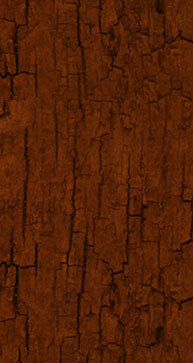 Cost as shown $98.00 add $28.00 for back engraving and photo. The items shown are examples of what we can custom make for you, Please feel free to contact us with your ideas for that special product. 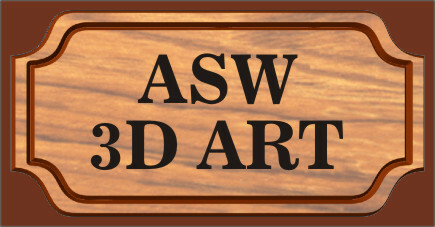 For a complete guide of Aurora Sign Works 3D designs please click on the link below ASW 3D ART. 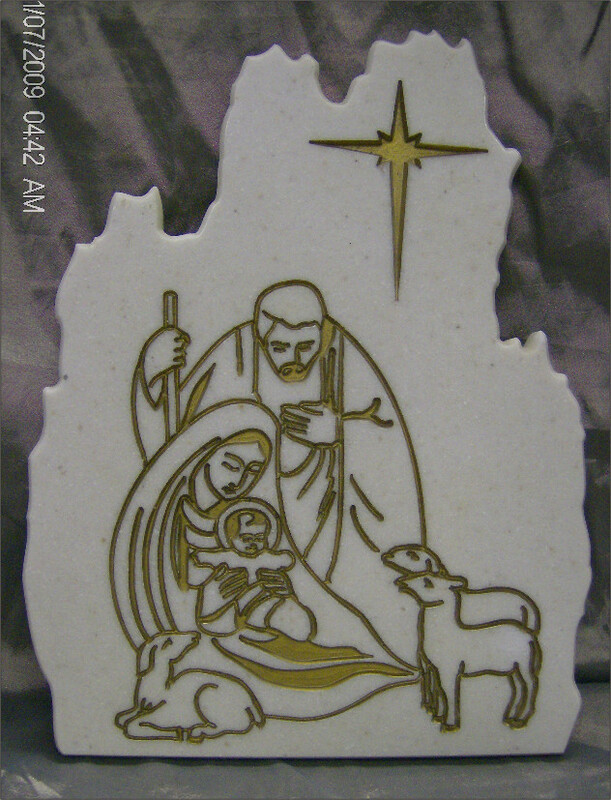 Nativity 001 - V-Carved into Corian or Gibraltar. Size shown is 6.5x5". Message can be laser engraved into back.Custom sizes available. 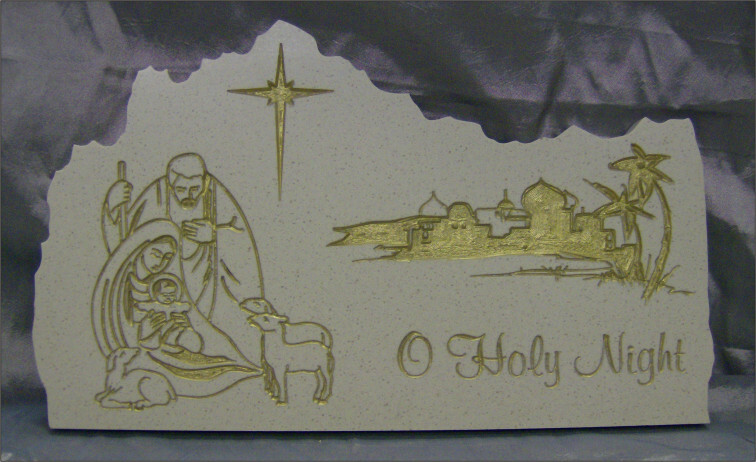 O' Holy Night 001 - V-carved into Corian or Gibraltar, size shown is 10.5x6.5 You can have a photo mounted in the back and a message laser engraved. In this example the buffalo is 3D carved out of HDU. 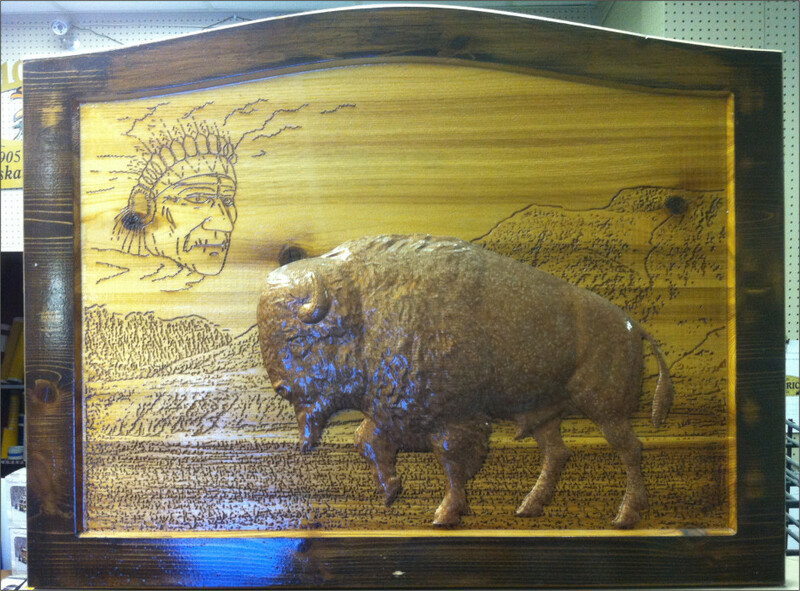 Size of buffalo is 10"x8" The cedar plaque is carved on the CNC, the background is laser engraved. 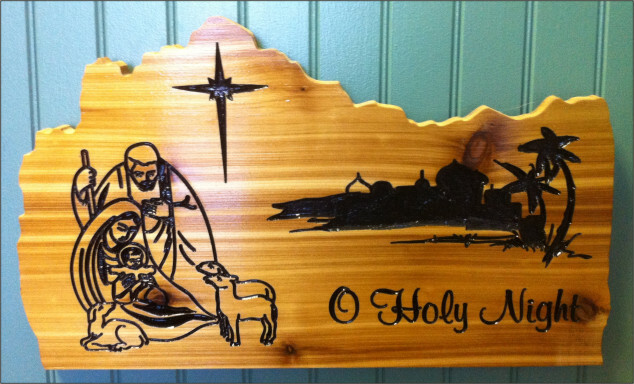 O' Holy Night 001 - V-carved into cedar, size shown is 18x10 cost as shown $46.00 add $18.00 for message laser engraved into back. Deer Scene 3D carved into maple. 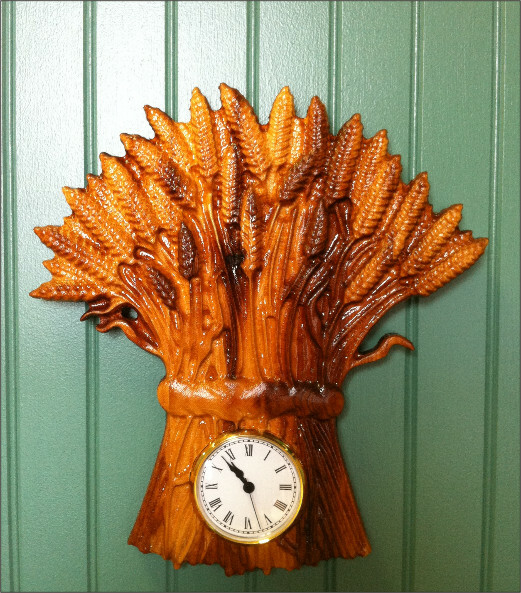 3D-Carvings can be carved into Door panels, Head Boards, Mantles, Hat and Coat racks, Tributes, Plaques etc. 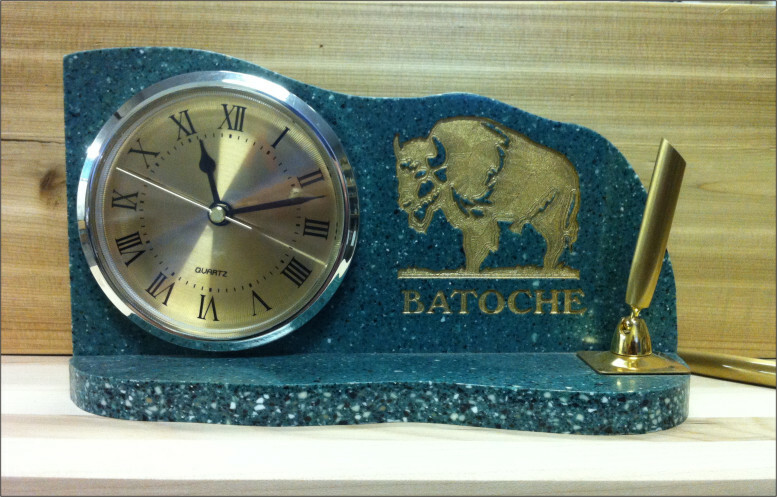 Custom designed Desk Clock carved from Corian. 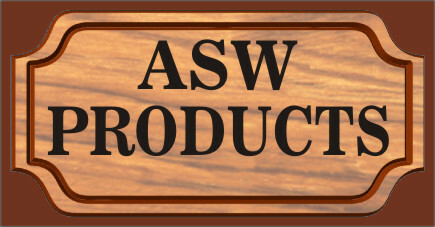 Call us with your needs for a custom desk or wall clock.